Facebook is currently testing Facebook Exchange and it should be out later this year. 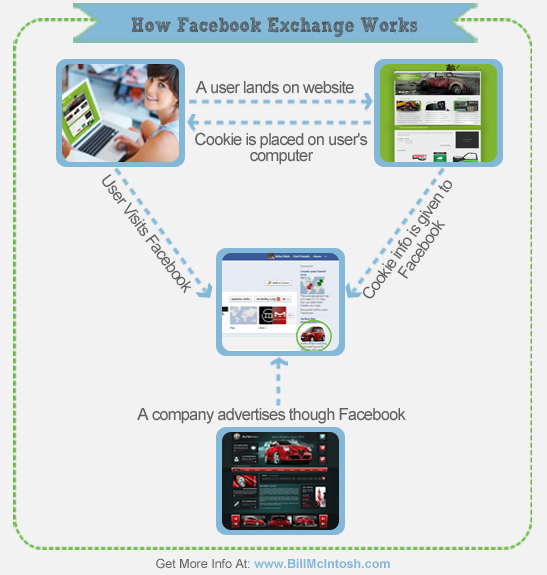 Basically, when Facebook users visit other third-party websites, Facebook Exchange will mark those users with a cookie. Then, the next time those users visit Facebook they will be shown real-time bid advertisements that relate to their web browsing experience. This direct advertising method is similar to what Google Adwords provides its advertisers, with ads correlating to users’ search engine habits. Unfortunately, Facebook’s stock has been tumbling as of late, mostly because shareholders aren’t convinced that Facebook’s ad revenue growth will keep up with the steady influx of new users. Facebook Exchange is the social giant’s answer to this problem. The Facebook Exchange program, it is hoped, will enable advertisers to reach specific types of users based on the sites they browse. This should provide a seamless advertising experience that will seem natural to the user. The user will see familiar products and services and hopefully great deals on those products and services, which should equal huge sales and large profits for advertisers and Facebook alike. There Are Ads On Facebook? Reuters/Ipsos released a poll recently that stated that most Facebook users completely ignore advertisements. In fact, only 20% of users polled stated that they have purchased products and services because of ads or comments they saw on Facebook. It is now easy to see why shareholders became so jumpy shortly after the much heralded IPO. However, Facebook seeks to change all that around with Facebook Exchange and many analysts admit that it is entirely possible. Facebook Exchange works in real-time and provides instant advertising results. With more than 900 million users worldwide and along with the fact that Facebook generated more than $3.5 billion dollars from ads in 2011, Facebook Exchange has a chance to become a major boon for Facebook’s bottom line. The results should make shareholders extremely happy. Advertisers and Share Holders Getting Excited? Facebook needs a way to spark some excitement back into its shareholders and it needs more advertisers to jump on board. Facebook Exchange should excite both and Facebook is hoping that advertisers will pay big premiums for highly accurate ad targeting. Users can indeed opt-out of Facebook Exchange via third-party demand-side platforms. However, users will not be able to opt-out of the program completely from within Facebook. To test this structure, Facebook has allowed eight advertising demand-side platforms the ability to test Facebook Exchange. Facebook has said that the platform will become more widely available in the next few weeks for traditional Facebook sidebar ads. These ads will be charged at cost-per-thousand-impressions. Unfortunately, the platform won’t be available for Sponsored Stories or mobile ads at this time. To offer an example of how Facebook Exchange works, let’s say that we have a user that lands on a car rental website. The car rental website has hired a DSP that is hooked up to use Facebook Exchange. Instantly, a cookie is placed on the website visitor’s computer, especially when they’ve shown intent to buy. If the website visitor does not rent a car or the car rental business wishes to market to that individual further, the DSP will contact Facebook directly to give them information on that user. The only information shared is the target’s anonymous user ID. No personal details are shared. The car rental establishment will already have ads in place set up to target that type of user. When the user opens up his or her Facebook page once more, Facebook will recognize the cookie that the DSP dropped on the user’s computer and the DSP will then be allowed to make a real-time bid to show the user the ad in question. The DSPs with the highest ad bids will win and their ads will be shown to the user. Of course, the user will always be able to opt-out of the Facebook Exchange experience. The user merely has to X out of any ad he or she is shown. However, the user will also be shown a link to the DSP where the person will be able to opt-out of all future Facebook Exchange ads. One of the aspects of Facebook Exchange, or FBX to insiders, that should excite advertisers and shareholders alike is the fact that the ad platform allows advertisers to launch time-sensitive advertising in real-time. For example, the car rental company could program ads that show daily or holiday specials. TV companies can program ads that depict TV shows that are airing right now. Facebook couldn’t do that in the past. For this reason, many analysts predict that Facebook’s ad revenue could jump more than 60% this year to over $5 billion. Will Facebook Users Go For FBX? Some advertisers are a little apprehensive about FBX. The fear is that Facebook users will shun cookie-based advertising. This form of advertising isn’t new on the Internet and some people have a natural aversion to being targeted. Still, Facebook promises that it won’t share any personal information with third-party advertisers. Users’ biographical, social and behavioral data that Facebook collects will still be kept confidential and the cookie-based advertising system will only allow advertisers to show ads based on browsing habits. Will Facebook Exchange Live Up To The Hype? Time can only tell how Facebook Exchange will fare with users when it is finally rolled out and ready to go. Up until now, Facebook ads have been based on information users enter into the platform. With third-party websites getting involved and more targeted ads facing consumers when they talk to friends and family and check out their favorite brands’ Facebook pages, maybe users will find value in clicking the ads they see on a regular basis. For Facebook’s sake and for the sake of the advertisers and shareholders, let’s hope that Facebook Exchange proves to be the golden ticket towards turning Facebook into a place for friends, family and business. With more targeted ads, people will be seeing ads for things they’re actually interested in and things they’ve already contemplated buying. 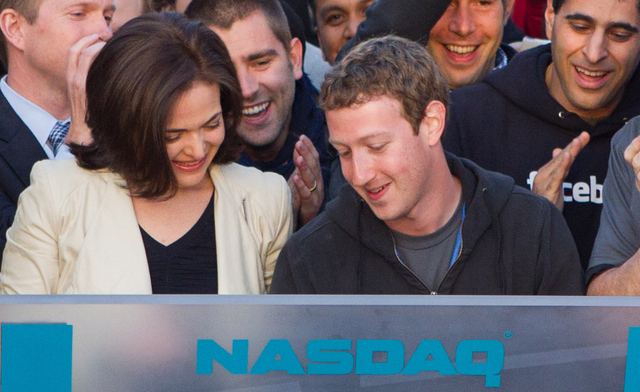 It seems like a no-brainer and that notion is exactly what Facebook is banking on. 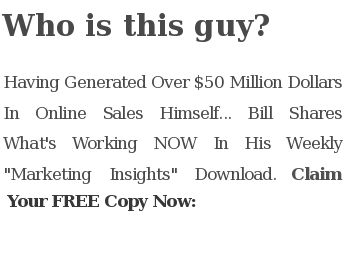 This entry was posted in Facebook and tagged advertising, advertising platform, Facebook ads, Facebook advertising, Facebook advertising platformfacebook, Facebook Exchange, google adwords, Google Adwords platform, Social network, social networking, social networking platform by Bill. Bookmark the permalink. Very interesting, I think it’s a smart approach for them overall… although I don’t think it will save their stock price still. Good for marketer’s though! another way to improve.